Flight never loses its wonder with me. I gaze out the window, jaw dropped slightly, as we transition from land to air. Watching the magic unfold on my babes’ faces make it that much better. I’m brought back to memories of my dad flying and working side-by-side to help him build a plane in our very own garage. I thank him for helping to create a sense of adventure in us before we had reason doubt the unfamiliar. We’ve daydreamed a trip like this for a few years now. The babes wanted so badly to visit the ocean and explore the beaches for treasure. No clocks. No schedules. I wanted to see the experience for the first time again through their eyes. Our trip drew nearer and nearer with each fallen construction paper strip clipped from the chain. They had been to the shore just once before, as babes really, their memories still vivid. The beach does something for me. Not many words are needed at the beach. The silence speaks volumes and if thoughts could fill space, there would be no room left. The beach brings me to some sort of altered state of awareness, or being. 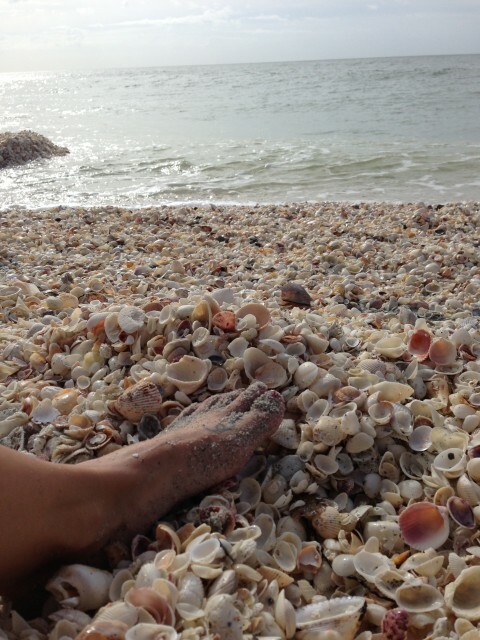 The sounds, the smells, and the way your feet slip through the sand. It makes me feel alive and clear, adventurous and calm – grounded. Maybe it reminds me of how small I really am, making stresses or problems feel lighter, bearing less weight. Maybe it reminds me that there is so much more beyond ‘you’, beyond your ‘now’. I want my babes to view the world as an untapped playground. 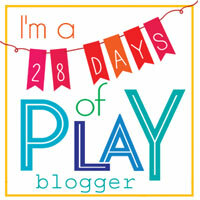 I want them to feel confident in adventure, bold against boundary, curious about the area beyond their bubble. I want them to see all people as interconnected, relatable, and intriguing, however widespread a space we may occupy. I want them to feel ownership and responsibility in the world beyond their yard. 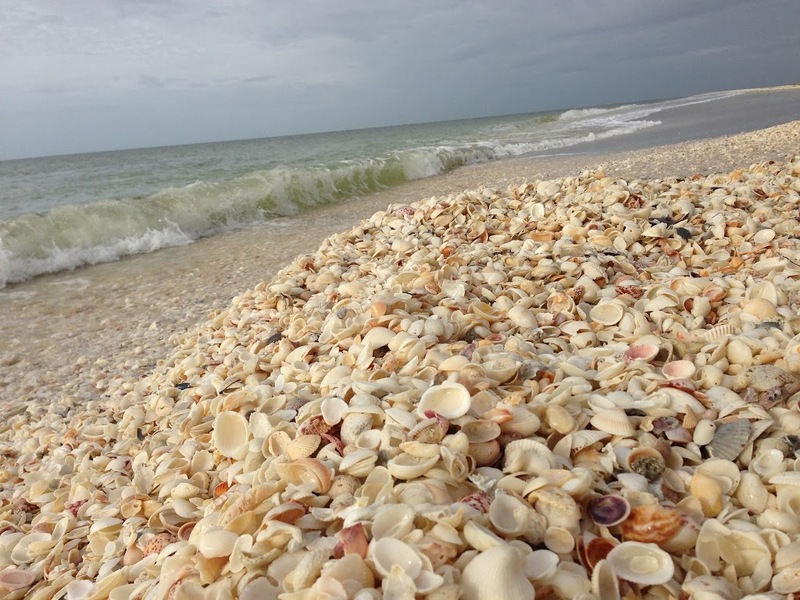 I could not believe the sight of the shells on Sanibel Island. Never have I seen such a haul, let alone one gathered into a huge mound at a point in the shoreline. It’s hard to believe that kind of beauty exists under the surface. It seems appropriate and fitting for life. 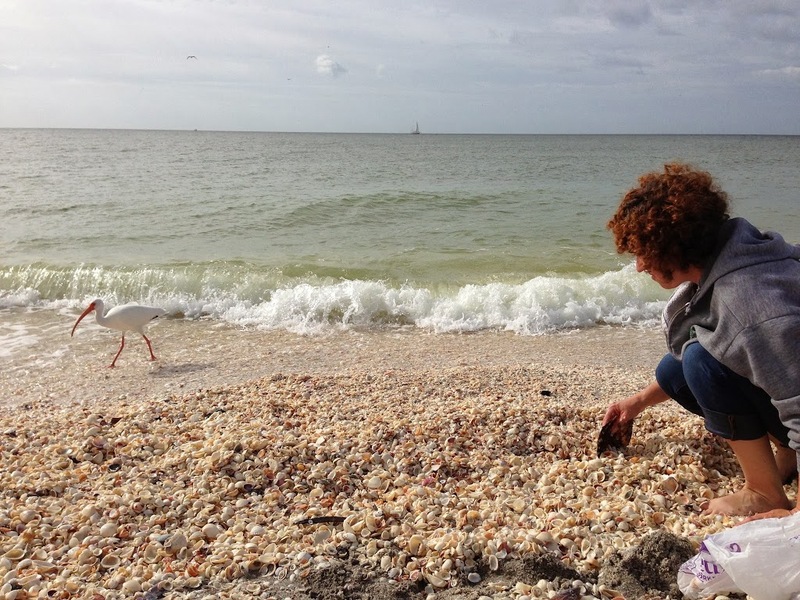 A reoccurring lesson that manages to escape us too often – the beauty under the surface. Our first morning out, we staked out on that mound – literally sat on piles of shells and used large broken halves as scoops to sort through the gold. We each collected our own stash to bring back home to examine. 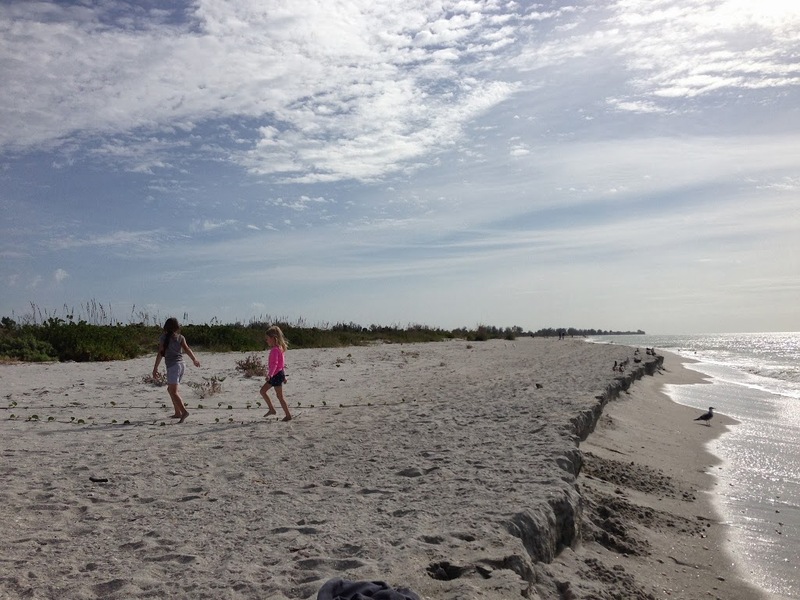 The cousins played in the waves, ran through the sand, chased birds, and laughed. Their laughter in a group brings me a kind of joy that is so deep and satisfying. You know it’s all-good when little lady proclaims…” This is the best day ever!” with a smile that will melt your core. We continued a favorite tradition of burying wishes. 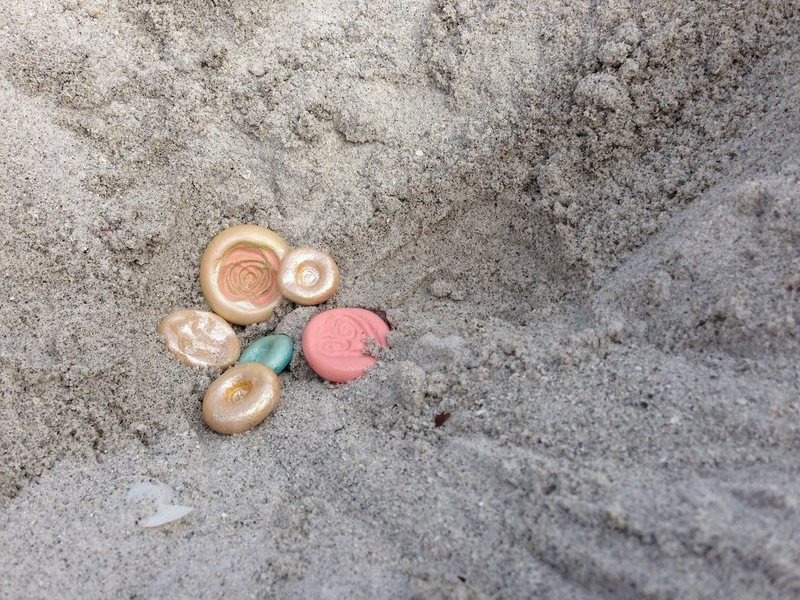 I made treasure tokens for each of us. 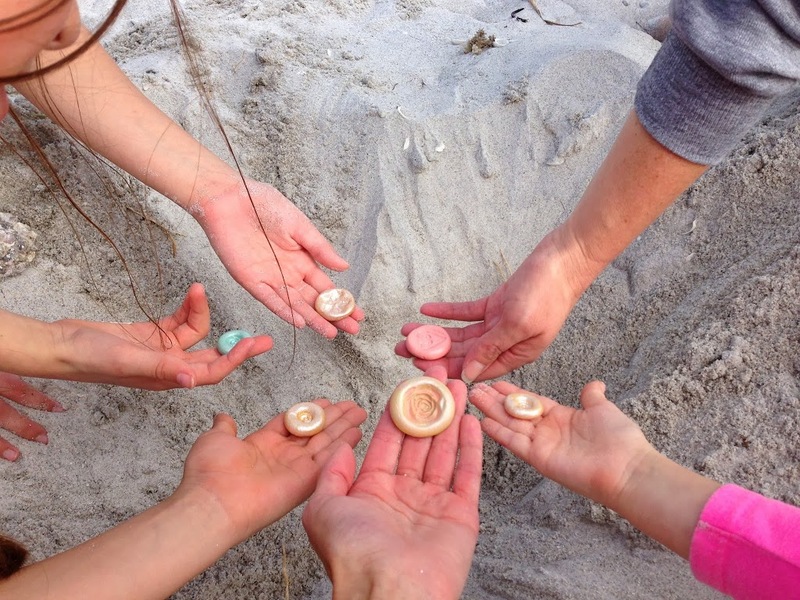 We dug a little hollow in the sand, made wishes on our tokens in a tight circle, and covered them up for safe keeping. We’d like to think that there is a little piece of us there on that beach. Maybe we’ll spread the magic if others stumble upon our treasures with wonder. On our second day back shell hunting, we upgraded. We added nets for surf scavenging, $5 rubber shoes for protection, and the mother of all tools – a sturdy metal wired basket on a long pole. This tool was made for Sister and I. The two of us could live on that beach, gathering wood for fire, surviving on snacks and soda (the necessities) to provide the energy needed for hours upon hours of dedicated treasure hunting. The novelty never wears and without the interruptions of others’ needs, we’d be unstoppable machines. Hours could pass without words shared, other than the ooing and ahhhing over striking shell gold. In life, we take the good with the bad. To imagine one without the other is incomplete. In fact, without the ‘bad’ how could we really identify and appreciate the good? Little Man and I drifted in and out of chill, aches, and fever most of our days on vacation. We powered through together, making the most of the times when we were in an upswing, or medicated, and resting upon return. We didn’t let it skew our vision. We took in the sights, felt the vibes, and soaked up all that this trip had to offer. Although our chilled recovery snuggles together, two shivering spoons drifting into sleep, were not an ideal way to spend time away, we were still away and together and I sealed up that feeling as grateful as well. I’ll remember holding his little hand sticking out of the blanket as well fell asleep each night. We stayed with family, which was a blessing for healing. Our hostess ranks up there with the best. With Latina and Armenian roots, care-taking courses through her veins. We were greeted with open arms and a homemade meal, to a home where you’re never given the opportunity to approach hunger, or thirst, or needs of any kind, really. 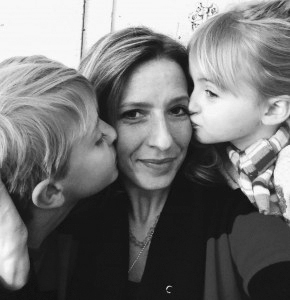 Little Lady celebrated her birthday on a sandy beach with a cousin born on the same day. Magic. Sister and I had big plans to make this celebration as magical as this opportunity was. We prepped and packed and burned the candle at both ends the night before in order to keep things a surprise. Mamas love like that. When the sick grip became too tight on me, Sister even took one for the team and finished the cake as I retreated for sleep. 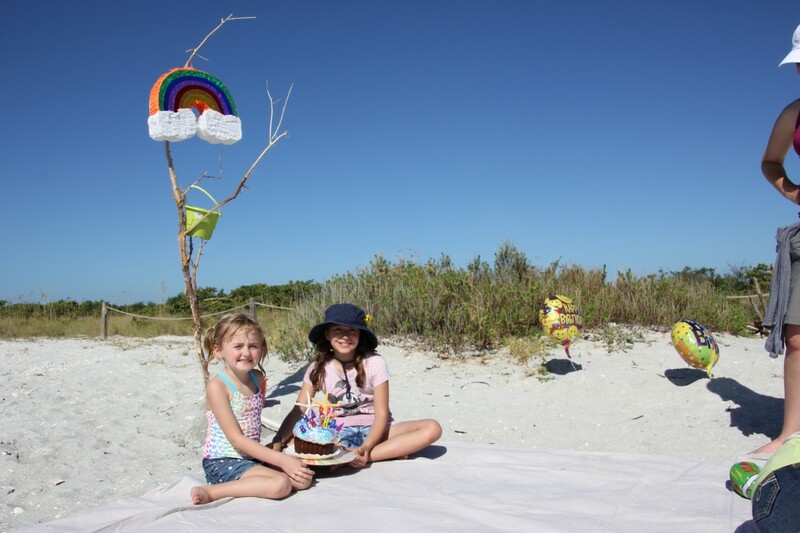 One of the birthday girls has always dreamed of a piñata at her birthday and a beach venue wouldn’t stop us. Sister, oozing ingenuity, ripped a large branch off a fallen tree on the shore. 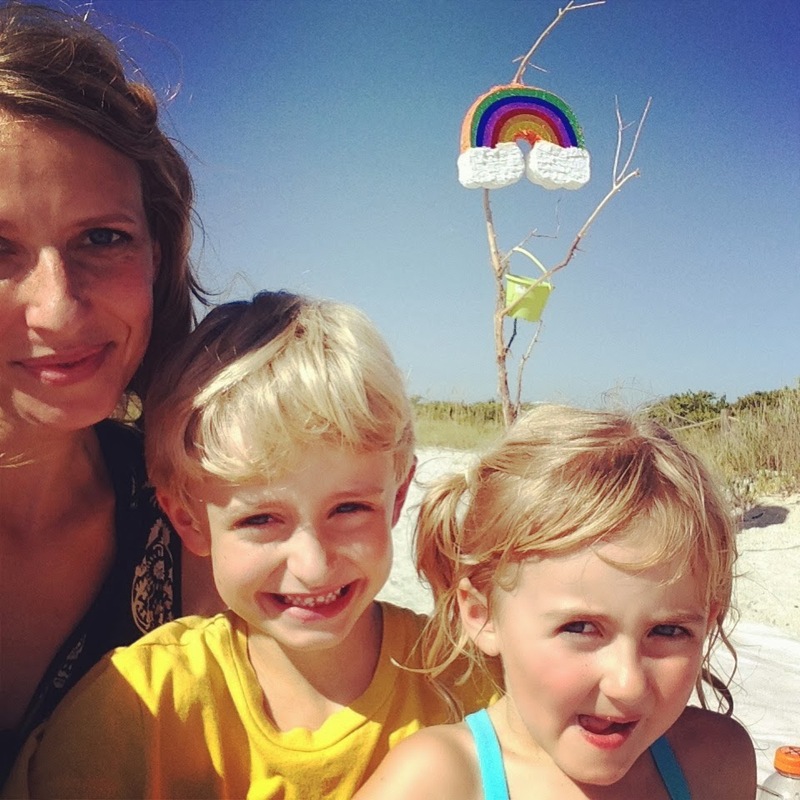 We buried the stump in the sand and tied our sweet little rainbow piñata on a branch right at the edge of our blanket. There aren’t many rules at the beach. 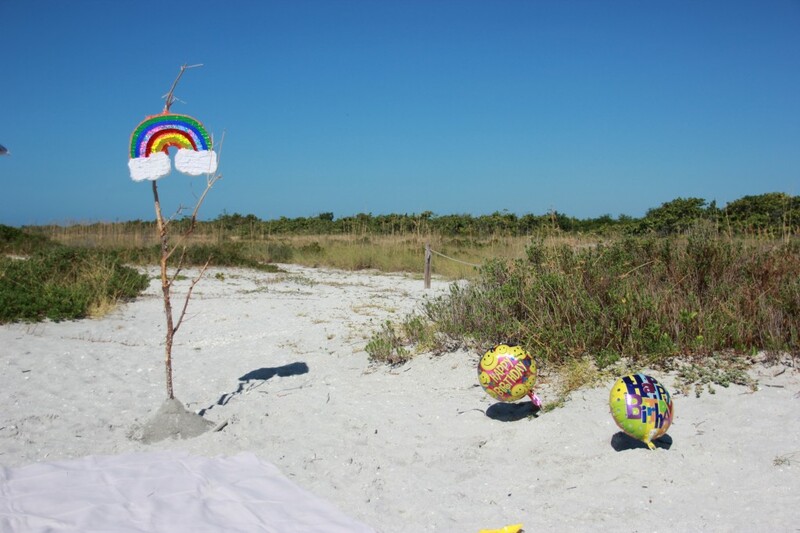 Small wooden trunks stocked with treasures for each of the girls waited buried in the warm sand with a balloon to mark the spot. The giant cupcake cake survived the trek to the beach and it may have been the tastiest cake I’ve ever had, eating it there on that beach. Before leaving, Little Man and I stood at the edge of the canal together for our last glance. A chance to scan the adventures and the landscape. 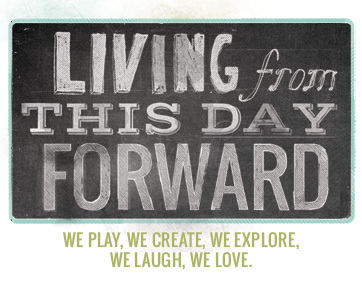 I love the ritual of a mental pause to absorb the ‘now’ before hustling back into regular life. We buzzed about the sights: the shape of the trees, the colors of the sky, the wildlife in the canal, and the way the sun glistens off the surface of the water. Then we glanced at each other face-to-face, recognized a dream come true, lip-smooched, knuckle-bumped, and went on our way. I’m grateful for sandy feet, sun bright enough for sunglasses, the ocean’s offering, tiny perfect lightening rod shells, speedy little lizards walking on walls, painted night skies, treasure maps for pool mermaids, soaked and rolled up pant legs, obnoxious laughter with my sister, Latina hostesses, salty waves, sun kissed cheeks and faint freckles, humid curls, the laughter of cousins, ice cold Cokes on a patio, fever reducing meds, and the chance to experience any and all of it. This trip served as some sort of milestone for me. I can’t exactly explain it. A personal mark or line crossed or accomplished. A checkmark? I can’t explain it, but I’ll always know what it means by how it feels. Sister and I. 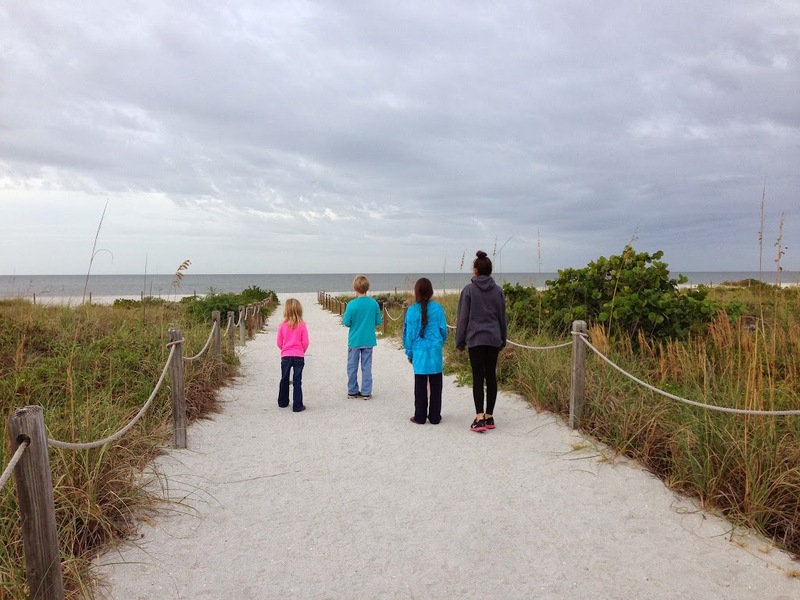 Sharing a grown-up vacation together with our very own kids…feeling full. *…because the others knew better. We were eaten alive by the sand mites that occupied that nice dry sand along the weed line. *one of our men was stuck by a barb and had to seek medical attention for tetanus and antibiotics. *enter huge crashing waves soaking us from head to toe and tossing us…in clothes. Yesssss…exceptional last minute deal of a gigantic cupcake pan to bake cakes for the girls to surprise them in the morning, and a very late night baking session. *the recipe calls for one and a HALF cake mixes per cupcake and takes an hour to bake. Hmph. 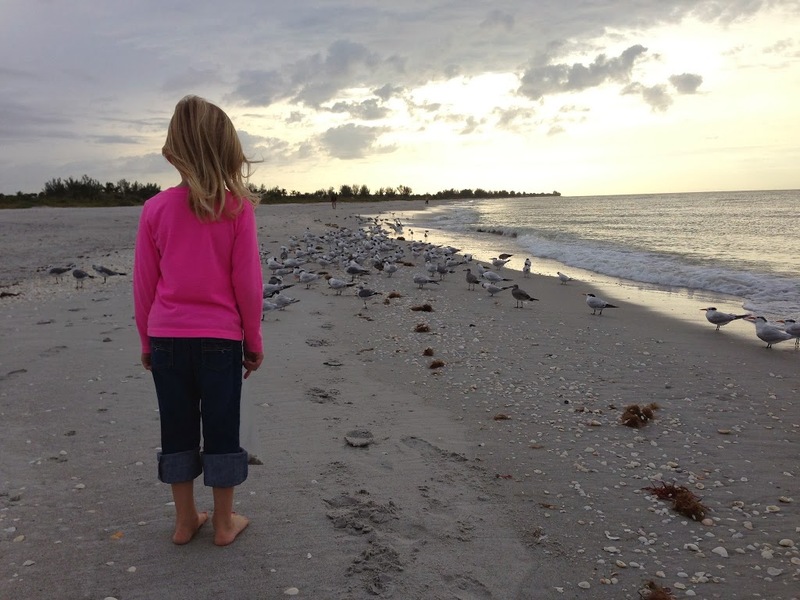 I share those memories of dad in FL…some of my faves – all together expiring the shores. Love you tons! Mama! I cannot even explain to you how this post made me feel. I am in tears. This took me right back to our recent family beach vacation. Like RIGHT back there. 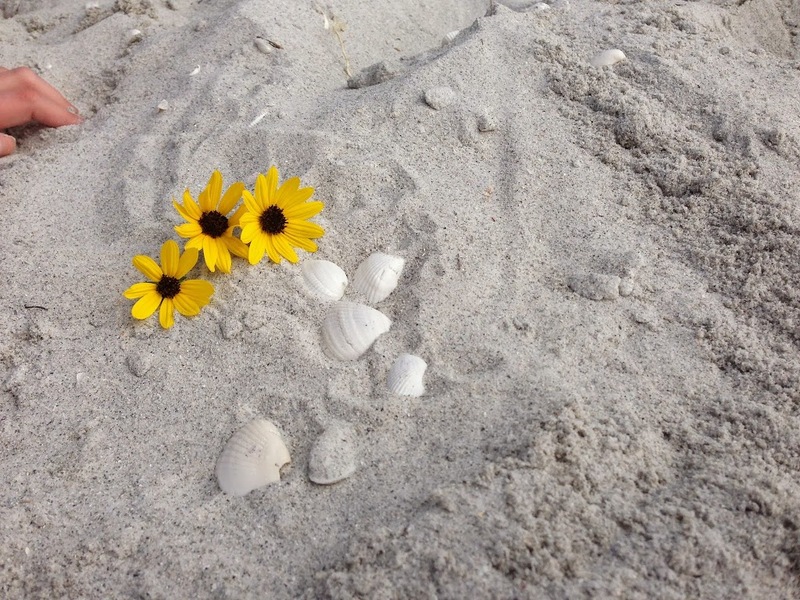 Warm memories spreading over me like the sun bouncing off the sand. You are speaking right to my heart. And what beautiful memories for you all. Youu are such a beautiful soul. I really, really loved this!! So much. Milestone, check list, whatever it was, I definitely felt a smidge of your “feeling” through this post.